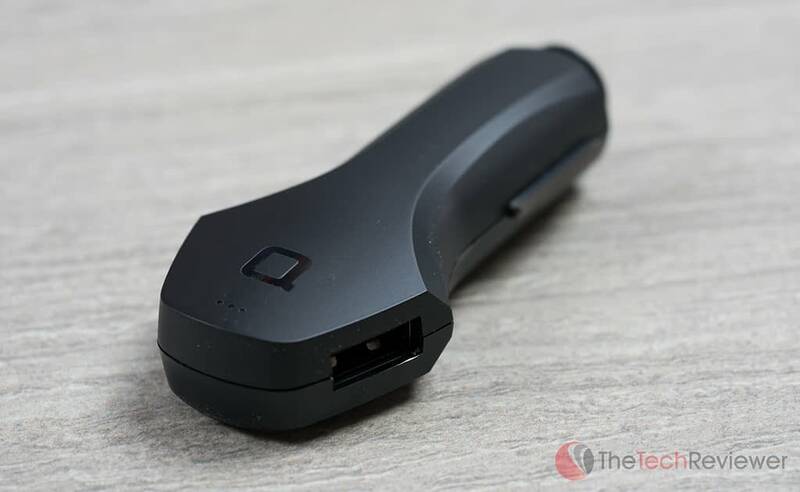 ZUS Smart Car Charger Review - Worth The Price? The ZUS Smart Car Charger offers efficient charging coupled with convenient location tracking. We get pitched a lot of products on a daily basis, so we have to be rather picky with whom we work with due to strict time constraints. We tend to shy away from a lot of KickStarter/Indiegogo products unless they have accumulated enough demand to becoming worthy of an in-depth review. A great example of this is the ZUS Smart Car Charger & Car Locator. Nonda is the company responsible for this wildly successful crowdfunding campaign, having raised a total of $273,053 on Indiegogo, a whopping 2521% of their original fundraising goal. A Nonda representative reached out to us to provide a review sample and given the high consumer interest, I decided to give it a go. The ZUS ships in an appealing packaging that does an excellent job explaining what the product can do. After unboxing the device, you are left with the sole ZUS smart charging unit and a quick start manual so don't expect any extra accessories like a charging cable. The ZUS marketing information likes to boast about the German design and its “sophisticated, yet very functional design”. While the whole German part is pretty irrelevant to most consumers, I do agree that the design is appealing to look at as well as practical in functionality. Its design follows that of a traditional USB car charger although they cut the edges of the chassis to give it a much more classy appeal and angled the USB ports out to the sides. The build consists of a German Bayer polycarbonate and metal parts coated with titanium. 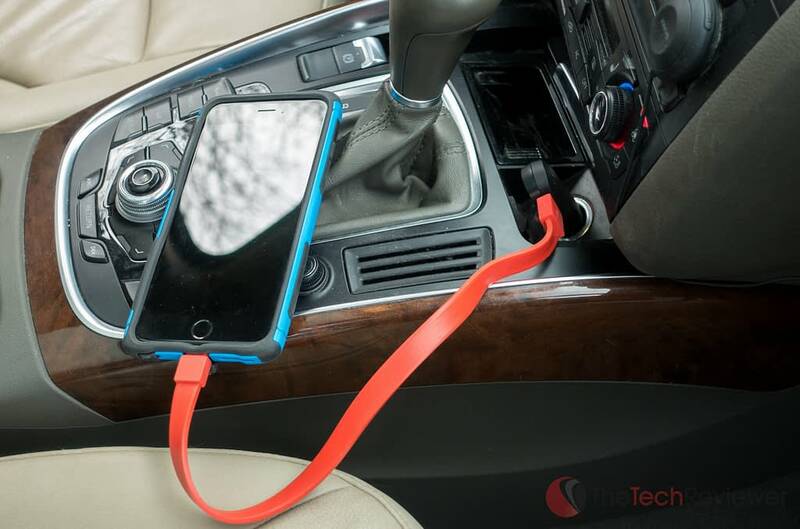 While this is much more costly to produce, it provides the ZUS with a greater durability (MIL-STD-810G) as well as better heat distribution, so the lifespan of the ZUS is said to be double that of most competing USB car chargers. A clean matte black finish rounds out the design and is more practical than a glossy finish for hiding dust or fingerprints. There is a small ZUS branding at the top of the chassis under the three lights, but it is tastefully done and doesn't take away from the elegance of the device. Elegant Shine Lighting – using a proprietary ElegantShine technology, the charger will emit “top of the line” lighting for enhanced visibility in dark environments. 2x Charging Speed (4.8A) – thanks to its 4.8A power output coupled with smart device detection, the ZUS can charge two devices simultaneously twice as fast as your typical car charger. 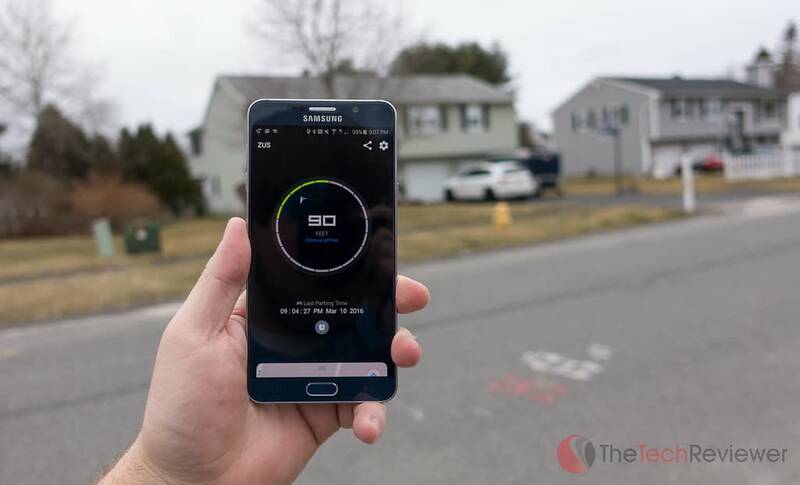 Smart Car Locator & Parking Timer – combined with the free app (both Android and iOS support) the ZUS will save your vehicle location when you shut your engine off and save it, so you remember exactly where you parked your car in a crowded lot. The signal is synced and saved via Bluetooth, so no cell service is necessary. At a current price of $35.99 on Amazon, this set of features is pretty impressive especially when you couple it with the capabilities supplied via the free mobile app. However, if you just need the charging speed and not the car locator, parking timer or extra lighting you can pick up a more basic 4.8A charger for just under $11. With the “elegant shine lighting” being something they advertise in many places on the marketing materials, I was rather underwhelmed with the light output as I found it to be marginal at best. Truthfully, I probably wouldn't have even noticed had they not boasted about it on the packaging and marketing materials. 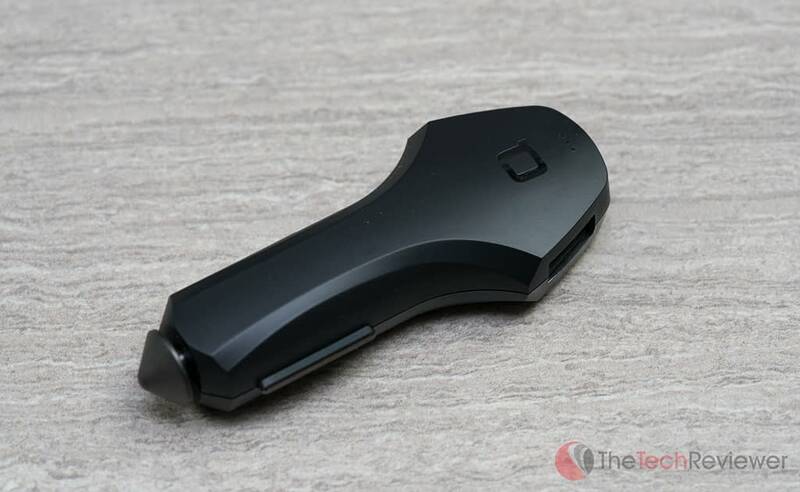 At its core, the ZUS performs much like you'd expect from any car charger only better. The dual USB powers with a combined 4.8A coupled with the smart device detection make for fast, efficient charging capabilities. The ability to charge two devices and get the maximum power output for both is a large benefit to the ZUS although you'll get this with cheaper 4.8A car chargers as well. However, the premium build and internal cooling system make the ZUS a much more sound investment for the long term. It is crafted to withstand the toll of frequent travel and runs cool even after long periods of use, aspects most competing models struggle with. As for the unique abilities of the ZUS concerning the car finder and parking meter functionality, these have proven to be neat little functions though they have their limits. First off, the ZUS will NOT give you a constant location reading of your car when it is in motion like a tracking device so don't expect to use it as a sneaky way to keep tabs on your a child, friend or spouse. Every time your car's engine is turned off, the ZUS uses a Bluetooth signal to save the GPS location of your vehicle within the free mobile app on a compatible smartphone or tablet. 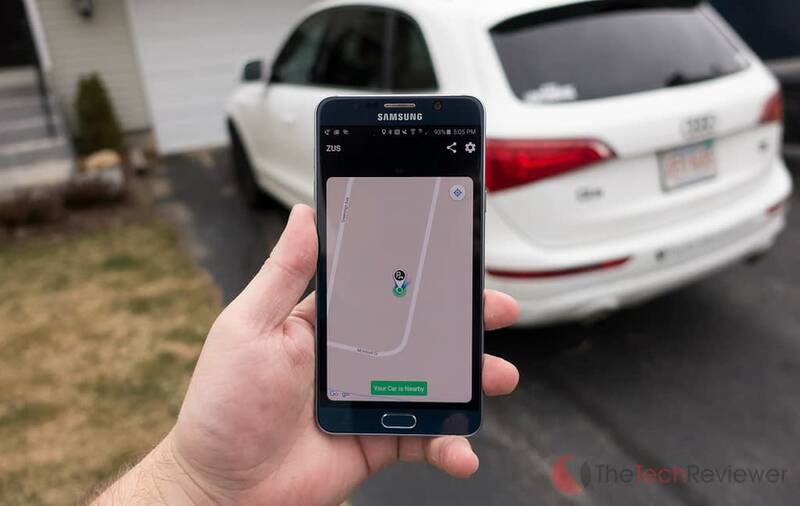 From there you can pull up the app when you are ready to return to your car and, it'll give you a reasonably accurate estimation of where your car is in proximity to your location. I say reasonably accurate for a few reasons which can ultimately depend on many variables. If you are parking under a complex structure like a parking garage, bridge or overpass where the GPS signal is muffled then the app will prompt you that the location cannot be stored and tell you to take instead a picture of your vehicle's location for later reference. This is a convenient way to deal with a problem that is out of ZUS's hands since it is at the mercy of your cellular device's GPS signal. Secondly, the proximity sensor is decent although not perfect. 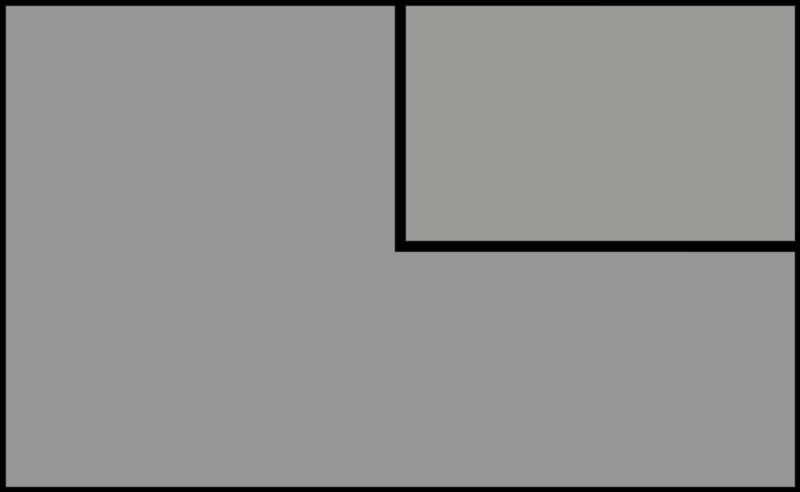 When you are within a close enough radius (40 feet or so), it will say inform you of this, but at greater lengths it will provide an estimated distance (with a margin of error stated) as well as a direction arrow. This arrow's consistency varied, sometimes being spot on and sometimes up to 90 degrees off from my vehicle's actual direction. Is the parking location feature spot on and always reliable? No, it is not but for $35, it is still impressive. I can see it being a huge help for someone who travels often or frequently attends concerts and sporting events as they often use huge, unfamiliar parking lots that can be difficult to remember exactly where you parked. Using the ZUS app, you can get close enough to your vehicle's location to be able to recognize where it is even if the direction or distance is not spot on to reality. I'd assume most of us could identify their car within a 20-foot radius, so it takes care of the tricky part which is getting within 20 feet of your vehicle in an unfamiliar location. While the parking alarm isn't something I'll use often as my town doesn't have parking meters, it is a convenient option for those in populated areas where parking is limited and you are at the risk of getting a ticket should you lose track of time. The app allows you to easily toggle a number of alarms varying by duration to give you a heads up when you need to feed the meter or simply move to another spot to avoid a ticket. 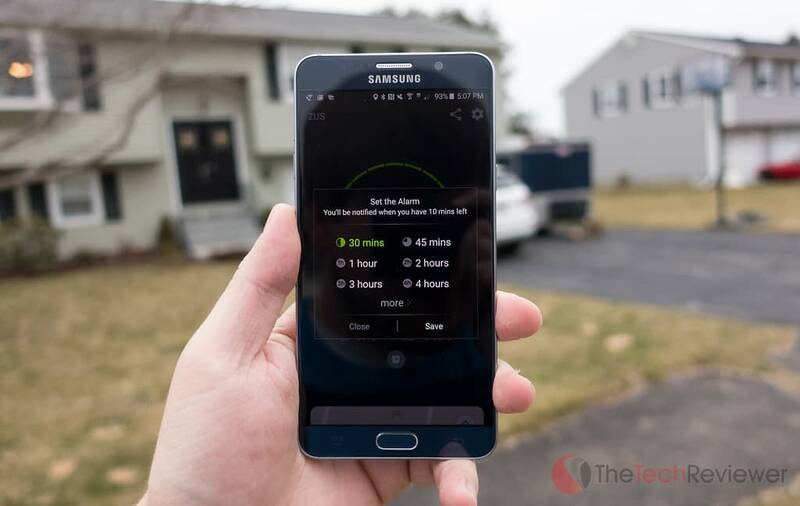 I tested the feature at my own home for evaluation purposes and received a notification with 10 minutes remaining which would have been an ample amount of time for me to deal with a real-world situation. 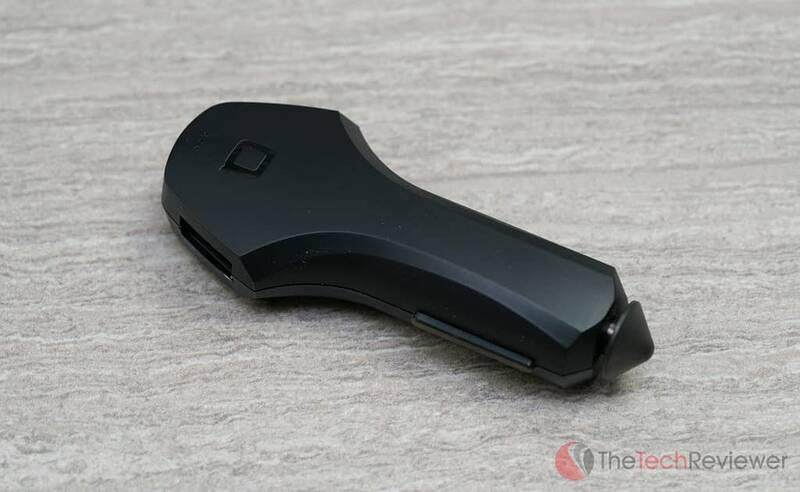 The ZUS Smart Car Charger & Car Locator was a wildly successful crowdfunding product that gets the job done when it comes to its primary purpose which is fast, reliable charging for two mobile devices, simultaneously. The “elegant shine lighting” feature is pretty underwhelming and the car locator feature isn't all that precise yet the ZUS is still impressive for its $35.99 price-point. If you are looking to invest in a quality car charger that will last you several years or often find yourself forgetting where you parked your car then the ZUS is a reasonable way to spend $35.99. Who Should Buy A ZUS? I purchased it, Down loaded and paired the Device with My Cel Sansung Galaxy Core Prime and a message pop up: Sorry your Phone does not support the Compass. I have Written like 7 times, they answer quickly but do not answer my question, I do want to use it fully, what Cel are or not Compatible to upgrade my cel. They confirmed that even with a down loaded application it does not work because that it a hard ware issue. By the way I learned that it is a censor collaed either Compass ore Magnenometer Sensor. What Phones do have it? 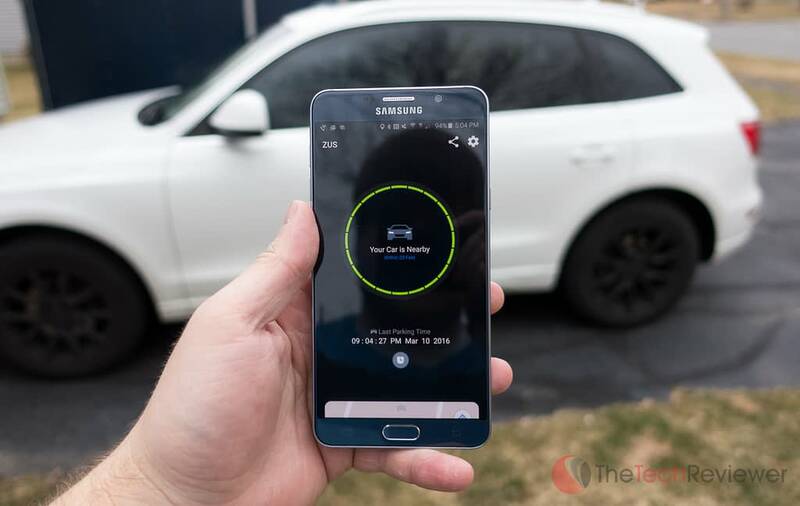 Will Zus transmit a new signal if your car is towed from your last location stored in the device? It is a great device to have, saved me from walking around for hours after forgetting where I left the car.